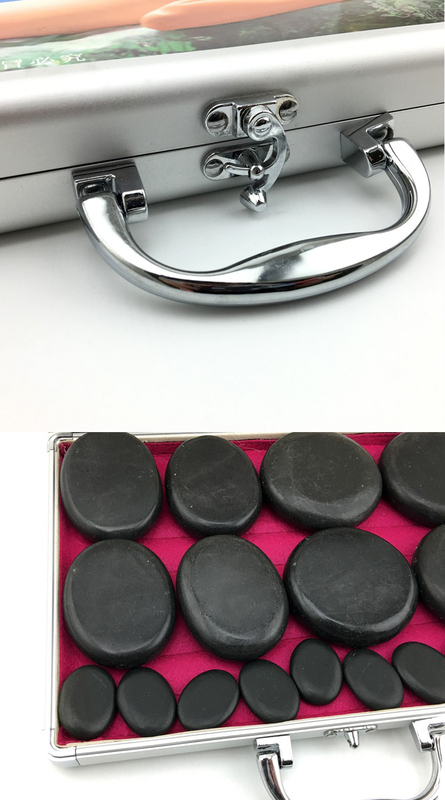 Our Hot Stone Sets include real basalt stones which are the most recommended type of stone to be used in hot stone therapy. 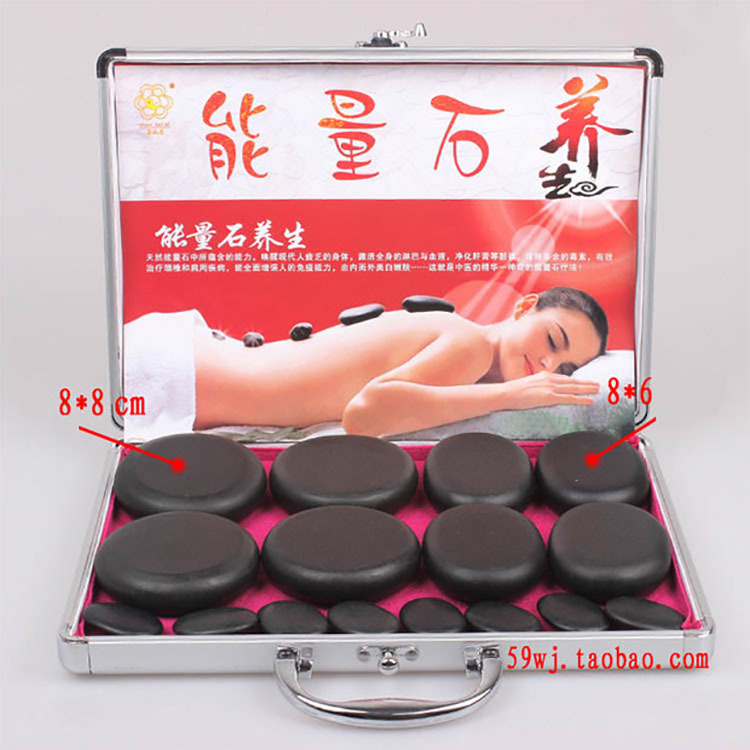 Our Hot Stones\' high-ferruginous component, non-porous, smooth texture, combined with their high heat retaining qualities, makes them the ideal choice for therapists. Basalt is a kind of mineral of which the color is gray. 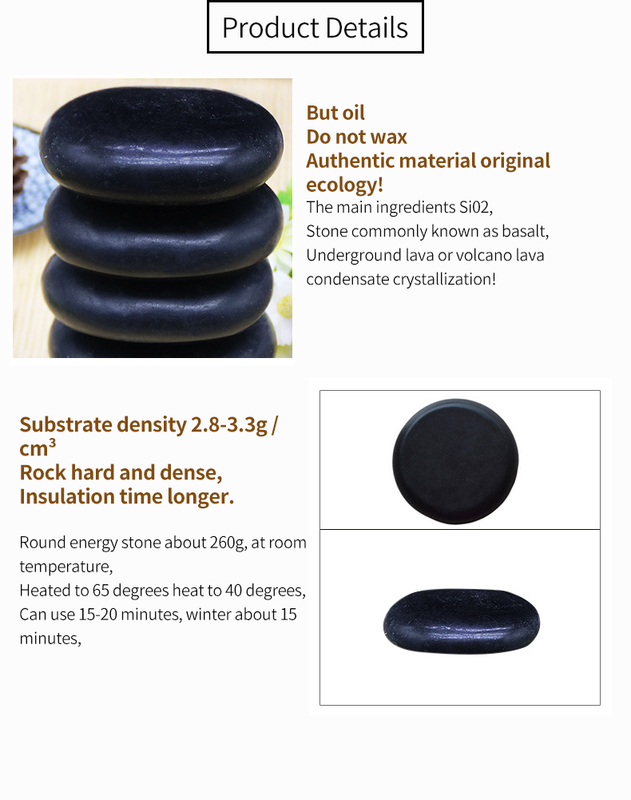 It is the most recommended type of volcanic stone to use in hot stone therapy, because of the non-porous, smooth texture, combined with their high heat retaining qualities. Basalt retains the heat for up to 45 minutes in the larger stones. Their high ferruginous components will improve blood flow and relax your muscles. This makes them the preferred choice for therapists. 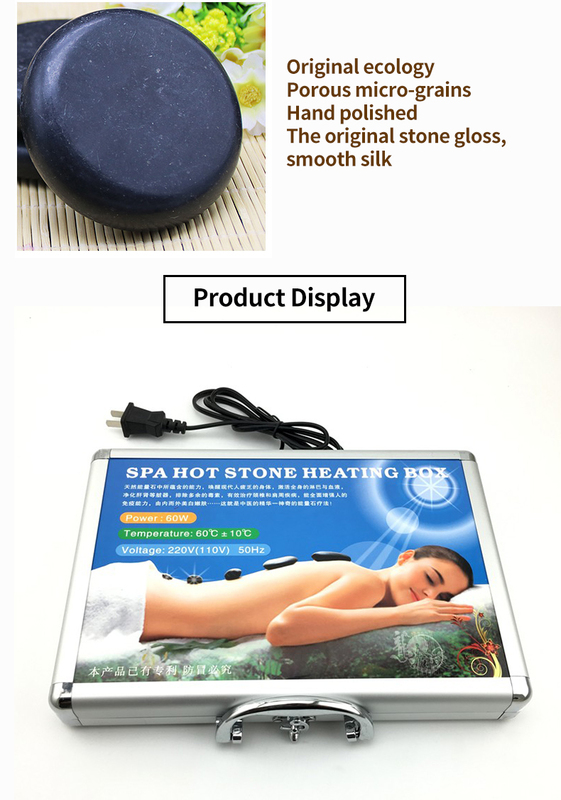 The Contra-indications with hot stone therapy are much the same as with traditional manual massage, except that there is the additional consideration of heat. Therefore, be cautious with clients with high blood pressure and circulatory disorders, heart conditions & or pregnancy. 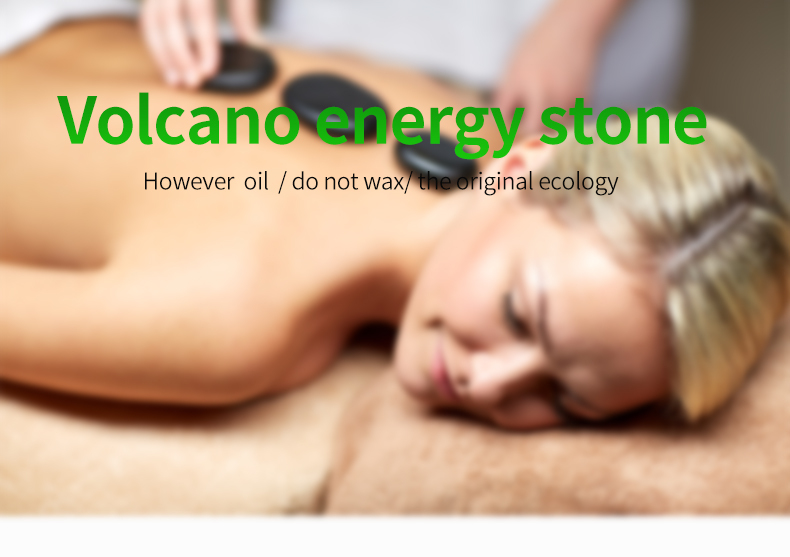 Hot stone therapy treatment would naturally be inappropriate with for clients with skin which is intolerant to heat, or very sensitive skin/skin prone to prickly heat/clients with nerve damage/loss of tactile sensation. After each client, rinse all the stones thoroughly under cold running water. Then wash with warm soapy water. Spray the stones with an antibacterial spray. At the end the day soak stones in water and sea salt for 20 minutes. Dry the stones and re-oil with them with natural oil such as almond oil. Avoid clicking the stones together. Always rinse off stones and your hands in between clients. Follow a healthy, light diet following treatment. Avoid Heat treatments of hot baths directly after. Allow a suitable period of time for the body to rest and re-balance. Allow oils to soak into the body before showering and your skin will love you for it.